Colour: Intense ruby red with garnet tinges. Nose: Intensely vinous, typical of Cannonau. Palate: warm, well-rounded, well structured and excellently balanced. 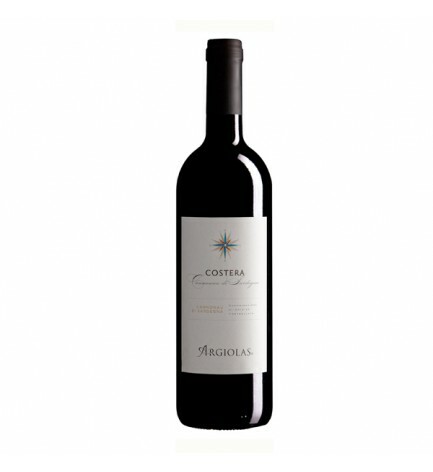 Place of origin: Costera estate in the countryside of Siurgus Donigala, ‘Sarais e Sisini’ area, 220 metres above sea level. Soil: limestone, clayey elements, medium mixture tending to loose, small and medium-sized pebbles. Vinification technique: fermentation - maceration at controlled temperature of 28-30 °C or about 10- 12 days. Malolactic fermentation in concrete glass-lined tanks and development in small oak casks for 8-10 months. Brief refining in the bottle. Storage: constant temperature 18 °C, humidity 75%, controlled light, horizontal bottle.